The Biggest Natural Resource Heist in Modern History - Leber Jeweler Inc.
We were leaders in helping to expose the myriad of issues with Burma’s gem trade, both in the US and internationally. Funding military abuses against civilians, feeding into a shadow economy control by drug empires, and fueling violent conflicts that led this Southeast Asian country into a free fall, the gem trade in Burma has long been a sector firmly in the grip of the military elite and drug lords. Now a report by human rights group Global Witness takes a new look at Burma’s lucrative jade trade and find things haven’t changed from the dark days a decade ago. 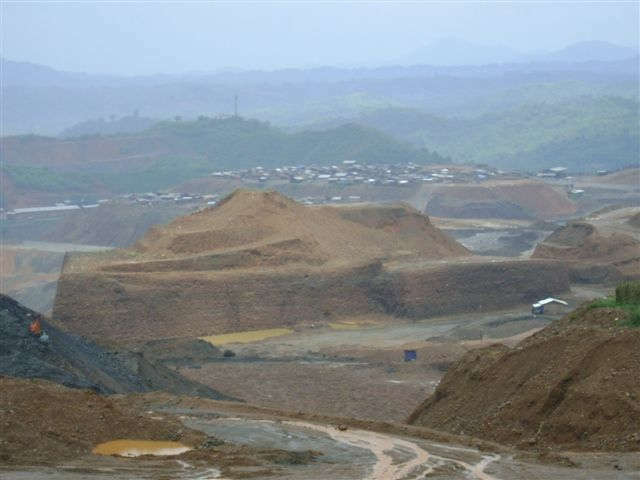 Described as what “may well be the biggest natural resource heist in modern history,” between 50 and 80 percent of Burma’s gem resource is smuggled directly to China, lining the pockets of senior members of Burma’s military as well as that of the country’s largest and best-financed rebel army, the United Wa State Army. Most of Burma’s jade, which is part of a $31 billion industry, is mined in Hpakant, Kachin State, an area that is still the home to an ongoing civil war that has killed thousands and left 100,000 people displaced. Yet amidst this conflict, the gem trade thrives. Sadly, in the wake of the US decision to relax many of the sanctions against Burma, US companies raced in to reap their share. According to the Global Witness Report, a major US soft drink manufacturer has partnered with a jade trade-linked firm tied to the military and a US-based heavy equipment manufacturer has alleged ties to an internationally wanted drug lord. For what it’s worth, one of the last remaining US sanctions still in force against Burma is directed against this country’s ruby and jade trade. Our advocacy in Washington DC helped get this legislation banning Burmese gems introduced, our testimony to Congress helped get this law passed, and we have and will remain persistent in our efforts to ensure that the US does not import Burmese ruby and jade until the day when those rare and finite resources truly benefit the people of Burma. Based on the Global Witness report and what we’ve personally seen over the past seventeen years of working tirelessly on the Burma issue, it may be a long time before that day comes.